Whilst the rock immediately behind Fritha is mightily impressive and almost twice her height, it is dwarfed by the third stone to her left. But moving these huge stones and carving them into place would have been child’s-play in comparison to setting the huge rock above her and to the left. Some have suggested that the builders were able to measure the angles and carve the blocks before setting them, but this one features a curve along its lower edge that was perfectly carved to leave no gap whatsoever. 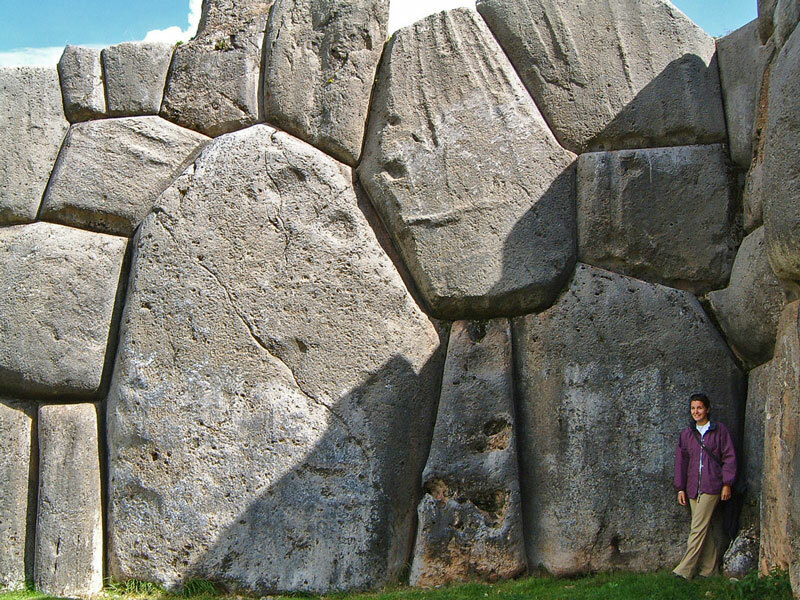 The fact that it exists tells us it’s possible, but otherwise you would be right to say that it is impossible to carve such massive blocks into such accurate shapes – even with modern tools, let alone pounding them with hand-held stones!